In California, if you are charged with certain drug crimes, you may be eligible for drug diversion either under a Deferred Entry of Judgment (DEJ) or Prop 36. In pre-plea or “pre-guilty” drug diversion, the defendant does not enter a guilty plea. The court date is “continued” for a set amount of time until the defendant completes a certain drug program. This is often shorter in duration and less-intensive than the full “post-plea” DEJ program. The availability and requirements of these programs are different in every courthouse within Los Angeles County. Criminal lawyer, Jerod Gunsberg, knows the which informal diversion programs are available throughout the County courts. After the successful completion of pre-trial drug diversion, the case is dismissed and in most situations, the defendant may truthfully answer that he or she has never been arrested or convicted of the drug offense. If you are facing a marijuana charge, there are different rules, please see the marijuana offense page. Post-Plea DEJ Diversion In post-plea diversion (or “formal DEJ”), the defendant must enter a guilty plea to a specified drug crime. However, the judge does not sentence the defendant and no conviction is entered. Instead, the criminal proceedings are suspended for 18 months. The defendant must complete drug education classes (usually one a week for 3 to 6 months), attend a certain number of AA or NA meetings, and submit to random drug testing. If the defendant completes the classes, has clean drug tests, and follows any other court orders, the charges will be dismissed. After dismissal, the defendant can truthfully answer that he or she has never been arrested or convicted on the drug charge (except in certain limited situations). What are the DEJ Drug Programs like? The Post-Plea DEJ programs usually require attendance at a 2 1/2 hour class once a week, for a period of 5 months. The classes deal with the consequences of drug abuse. Other requirements include attendance at a set number of Narcotics Anonymous or similar 12-step meetings, random drug testing and checking in with the court to show proof of your progress. If you violate the terms of your post-plea DEJ, since you’ve already plead guilty, the judge can sentence you on the charge and a conviction will be entered against you. 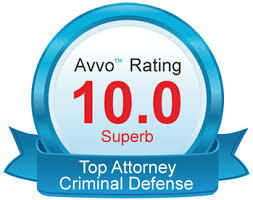 This is really why you need to hire a criminal defense lawyer who understands the laws. Which drug crimes are eligible for DEJ? *There are different programs for marijuana diversion. Who Is NOT eligible for DEJ? If you have been previously convicted of a non-marijuana drug offense. If you are currently charged with a crime of violence along with the current drug offense and if the drug offense played a part in the violent offense. If you are charged with a DUI along with possession of drugs. If you have probation or parole revoked and it was never successfully completed. You successfully completed DEJ within 5 years of the current drug offense. You have a prior felony conviction within 5 years of the current drug offense. If you have a felony that was reduced to a misdemeanor within 5 years of the current drug offense, you might eligible for DEJ. If you have been previously convicted of a drug crime and are not eligible for DEJ, you may qualify for Prop. 36. Unlike DEJ, with Prop 36 you are convicted and sentenced. Your sentence is Prop. 36 treatment. Prop 36 is far more involved and intensive than DEJ. Under Prop 36 you will likely be required to attend an outpatient drug treatment programs. The amount of time spent in these programs depends on your sentence. Generally speaking (and this is just an example): A minimum program may be 5 months and attendance is required two days a week for at least three hours a day, followed by a follow up treatments for the following six months. You have been convicted a “strike prior” and have been out of prison for less than 5 years. You have been convicted of a drug crime that involved the use of a firearm. 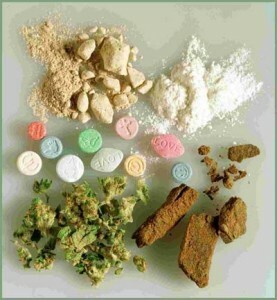 You were convicted of a drug crime and a non-drug crime in the same case (e.g. you plead guilty or a jury found you guilty of one count of Grand Theft and one count of Possession of Meth). Even if you are technically “not qualified”, in Los Angeles County there are procedures and policies in each courthouse which may help you. It all depends on the facts of your case, any defenses that can be raised, and your current life circumstances. This is why it is so important to hire a qualified local criminal lawyer who understands the policies and procedures at each court house in the County and understands how to present your whole story to the prosecution and the court. Criminal defense lawyer, Jerod Gunsberg, has extensive experience handling drug diversion cases in the County courts. What happens if I violate Prop 36? If you violate Prop 36 by testing positive for drug use, failing to participate in the program, or picking up a new drug case, the common practice is to sentence you to a higher level of Prop 36 supervision. There are “three levels” of Prop 36: The first level is the minimum program described above. The third level can require participating in a program for 3 hours a day, 4 days a week for 10 months. If you violate the third level, the court will often give you the option of either entering an inpatient locked-down drug facility or declare that you are not “amenable to treatment”, find that you are violation of your probation, and impose a sentence in county jail or state prison. I can’t find a Prop 36 program because they’re all filled up, what do I do? Because of the budget problems, many Prop 36 programs lost their funding. This is a situation that needs to be handled, do not just say “oh well, there’s nothing I can do.” Call a qualified and experienced drug defense lawyer immediately and explain the problem. The proper solution depends on the specific facts of your situation. If you have been charged drug crime, call the criminal defense lawyer Jerod Gunsberg at The Law Offices of Jerod Gunsberg at 310-210-0744. Free consultation. Available 24 hours a day, 7 days a week.